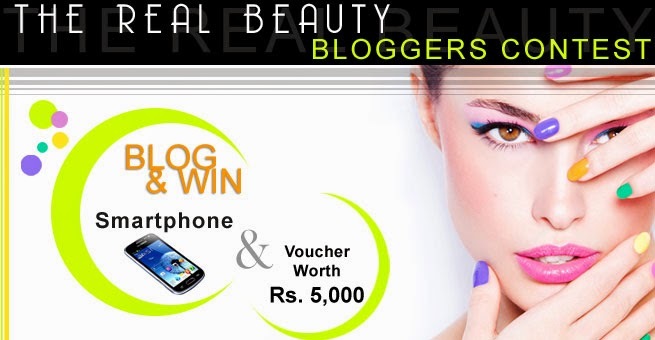 Urban Beauty is wholly owned unit of BRD Technologies Private Limited based in Delhi and Gurgaon that aims to unleash the potency and beauty of an individual while using potent plants, 100% natural ingredients & essential oils. 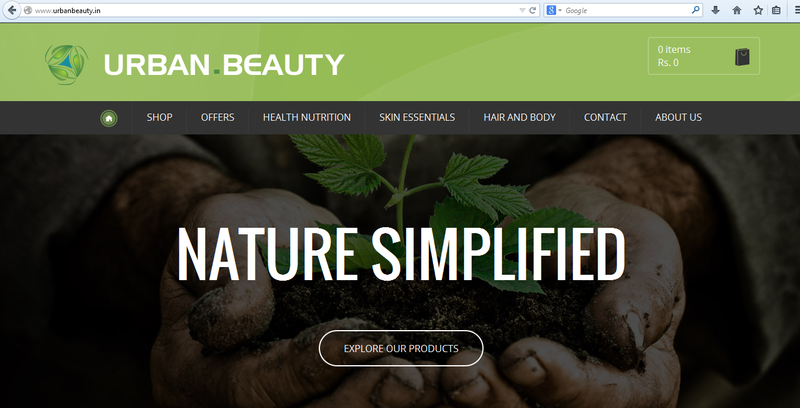 Urban Beauty mainly offers Hair and Beauty solutions through customised home made products made from natural ingredients. Urban Beauty has diverse products that not only take care of our body and skin externally with premium quality gels, oils, face masks, scrubs etc., but also provides nutrients for inner strength of our body in form of dietary supplements capsules. 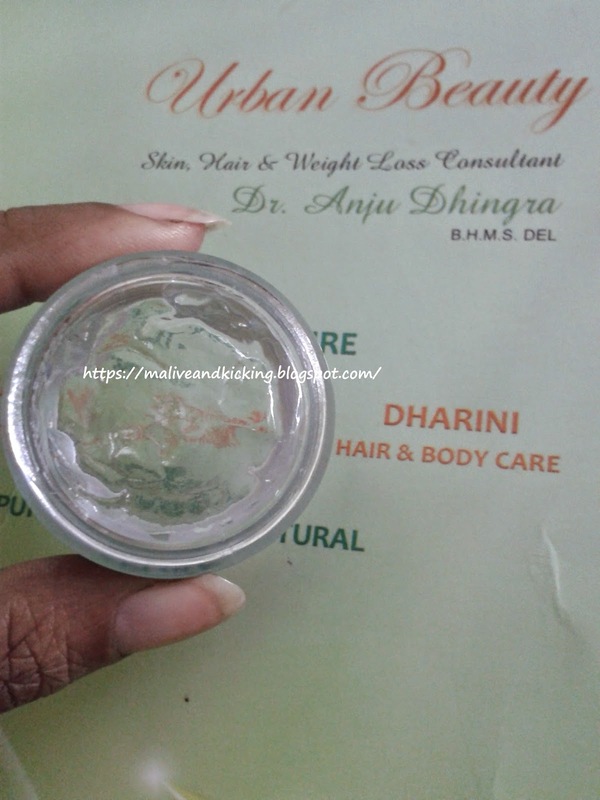 Today I'm reviewing the facial gels that have been sent to me by Dr. Anju Dhingra, the founder of Urban Beauty and an experienced Homoeopathic Physician. 1.) The first one is the Saffron Face Glow Gel that has pure Aloe Vera Gel, Saffron Extract and permissible preservatives as the key ingredients. The 12 gms packing is priced at INR 79. The cute li'l transparent tub packing can be thrown in your handbag for frequent usage anywhere anytime. 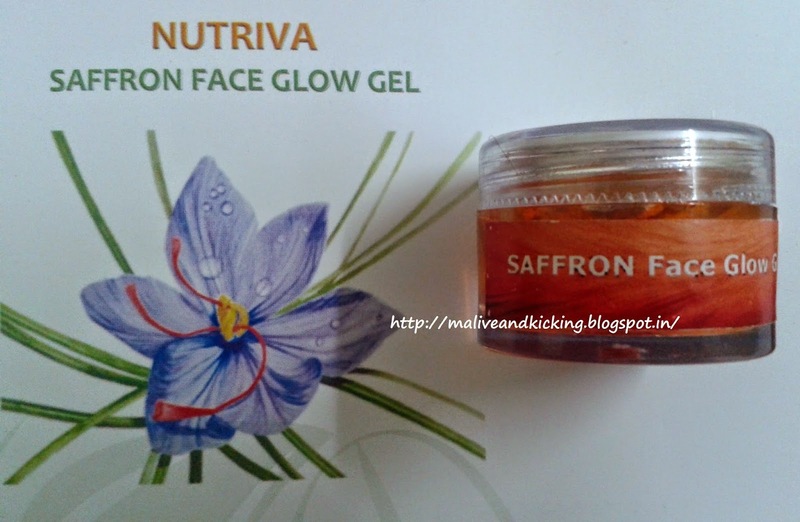 I used this Saffron gel as a day cream because unlike usual facial gels, this Saffron gel is not soap based and can be used as a leave-on gel on face, neck and other exposed parts of the body. The gel has very mild fragrance that seems mixed with some peculiar medicinal smell as well (atleast to me). The smell doesn't last longer, so those who prefer products free of any smell are more likely to use it. Though the product description in the catalogue instructs to perform a patch test on the back of elbow, I directly applied it on my face and felt no sensation of any sort. It penetrated my skin very soon and left it soft n moisturized in no time. The skin benefits of Saffron are obvious to all. 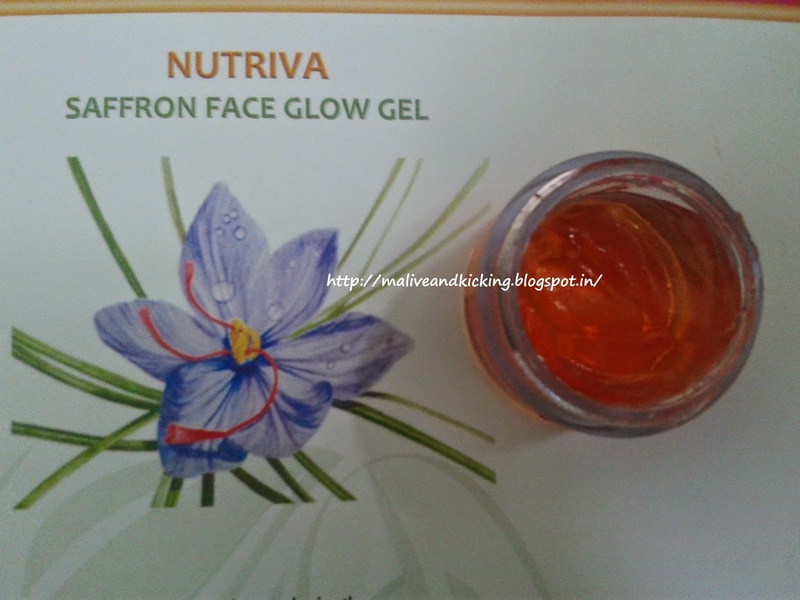 This Saffron can not only serve as facial gel to provide skin brightening, but can be advantageous as cleanser n revitalizer. I'm impressed with the gentle formulation that I can use it under my eyes to lighten the dark circles. 2.) 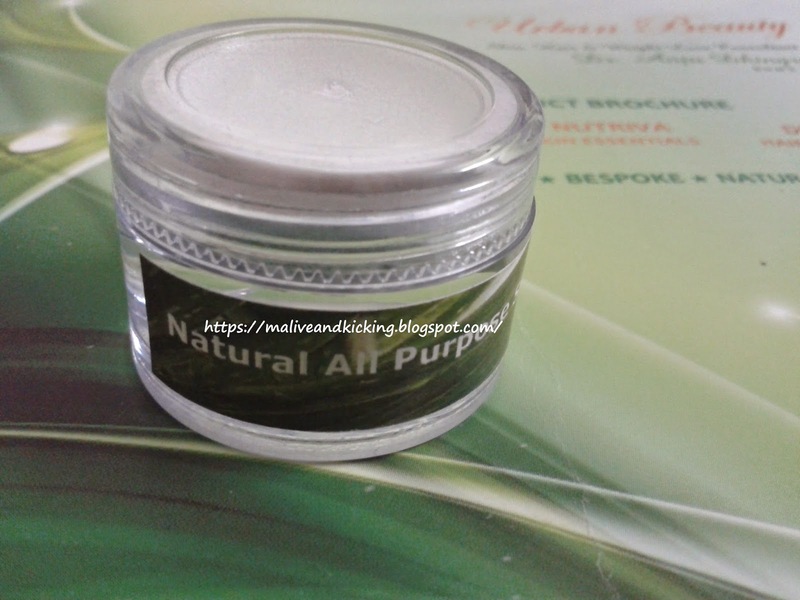 The another gel I got is a colorless composition i.e Natural All Purpose Gel that is based on Aloe Vera extracts. 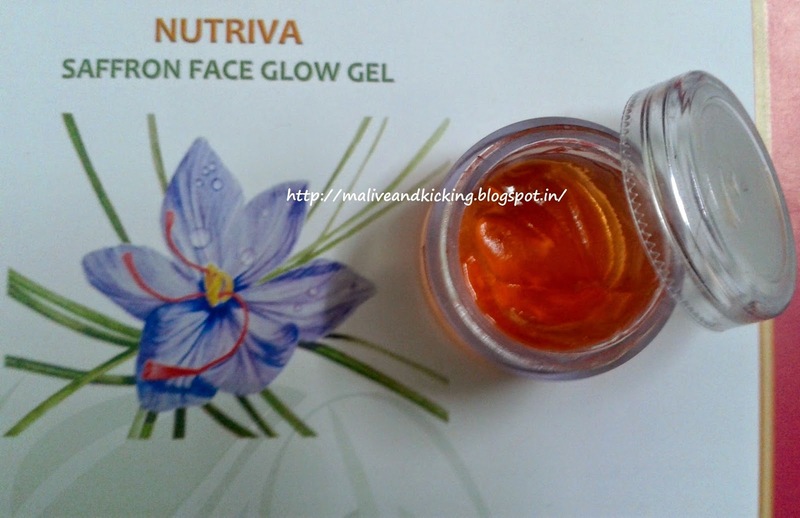 Just like the Saffron gel can be left on skin after its application, the All Purpose gel works the same. 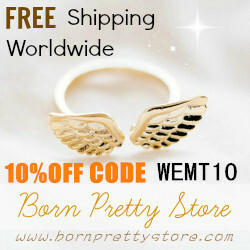 Everything else including the quantity, packaging n price etc. is totally similar in all the gels. I had got some kind of allergic reaction under my lower lip few days back and I wanted to apply a gentle ointment on that, but could not visit the physician due to my packed schedule. Since that patch was itching me and I was feeling prompted to scratch it again n again, I could not resist using Natural All Purpose Gel to cure that. After 2-3 application, the allergy got visibly reduced and vanished in continuous usage of 3 days. So I appreciate the healing capability of this gel. Infact, my fingers do get minor cuts while chopping veggies etc which was automatically treated when I was putting the gel on my face using my fingers. I feel this gel is very effective in treating burns, infections n skin ulcers etc. if used generously. 3.) 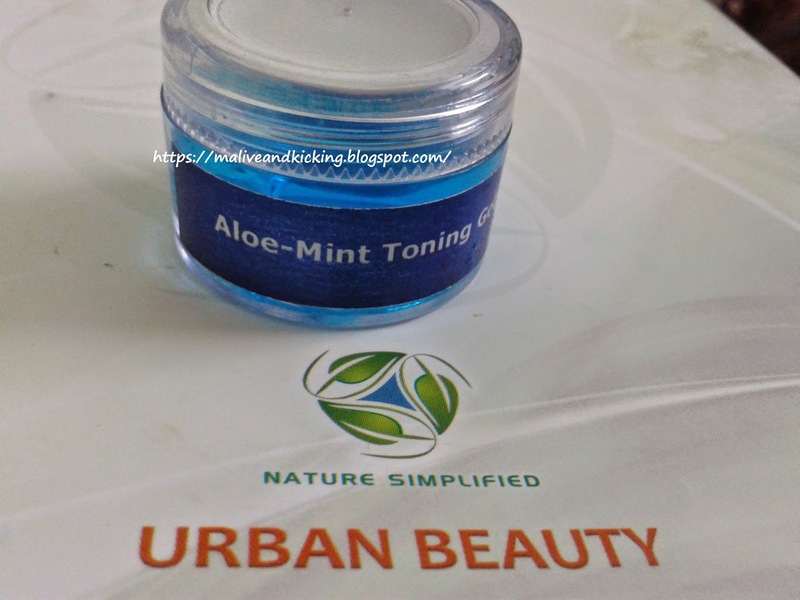 Yet another gel which I received is the Aloe Mint Skin Toning Gel made up of Pure Aloe Vera extract, Mint extract, permissible preservative and Essential oils. Unlike the two previous gels which I tried, this one is to be applied on wet face and massage with upward circular movements for about 2 minutes, then rinse and pat dry like we do for a face wash. 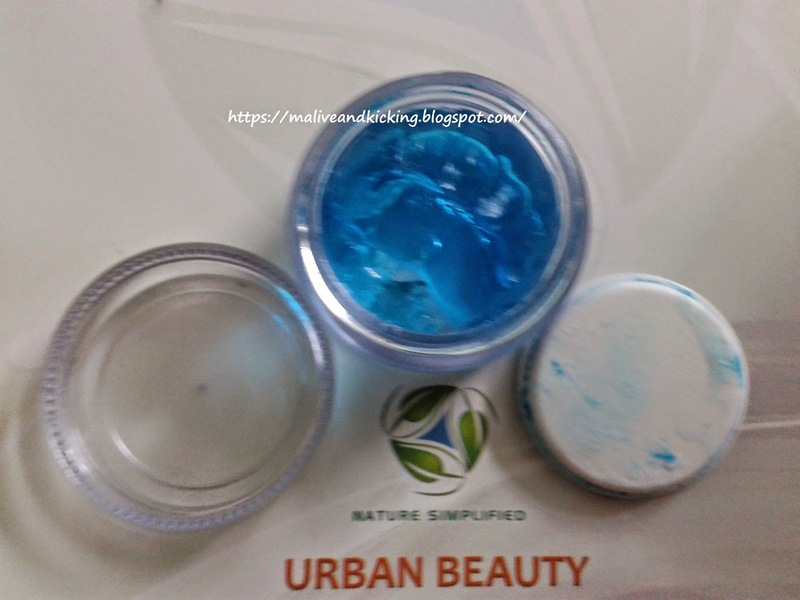 This brightly shinning blue gel is very soothing on skin and I felt light calming n cooling effect after I rinsed my face. The mint is one of the most permissible herb to be used as key ingredient in skin care products, so I expected a lot from this gel also. You might be thinking of this gel with a stronger scent, but actually its not. 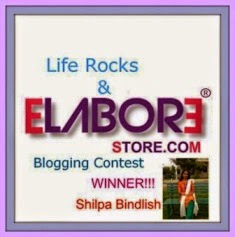 The skin feels firm n toned for long hours when you use it in the morning itself. It can treat any kind of skin inflammation and offers needed anti-oxidants to under-nourished skin. 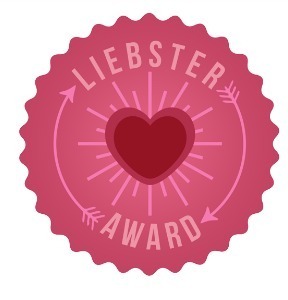 Overall Opinion:The Urban Beauty gels have active constituents that are natural solutions to many skin problems which arise when we are careless to provide sufficient attention to it. The only drawback is that there is absolutely no detail about the ingredients, price, quantity on the packaging other than the name of the gel. But the label on bigger packaging (50gms at a price of Rs. 689)might have all required details as I can see on the official website. I'm double minded whether I would repurchase these or not as they cost bit higher than other organic products available. But for one time trial, these are really promising products.